Prof Adrian Owen, a British neuroscientist based at the Brain and Mind Institute in London, Ontario, is leading the study. He told me: "We all know what it feels like to not get enough sleep but we know very little about the effects on the brain; we want to see how it affects cognition, memory and your ability to concentrate." Everyone's sleep requirements are different, but if enough people join the study, it may allow scientists to determine the average number of hours needed for optimum brain function. 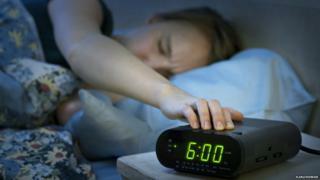 Last month, a paper in Nature Reviews Neuroscience said there was "remarkably little understanding" of the consequences on the brain of chronic sleep loss. It spoke of the "precipitous decline in sleep duration throughout industrialised nations", adding that more research was urgently needed.